Holding timeless appeal, this black coloured analog watch from Maxima will surpass the charm of any smartwatch. 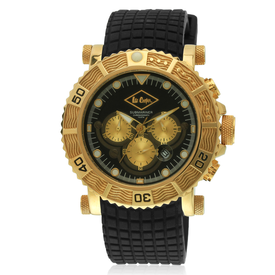 This modish watch has leather strap with and stainless steel casing, which makes it more durable. 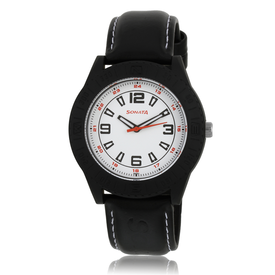 Featuring a sporty design, this watch is water resistant up to 30 m. Furthermore it comes with 1-year warranty. Holding timeless appeal, this black coloured analog watch from Maxima will surpass the charm of any smartwatch. 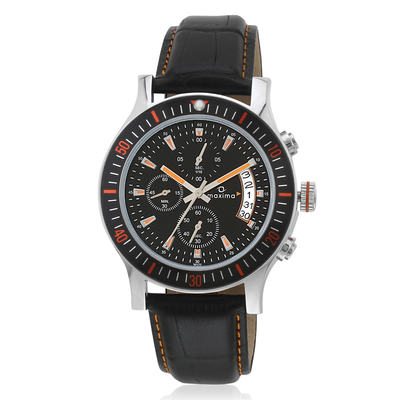 This modish watch has leather strap with and stainless steel casing, which makes it more durable. 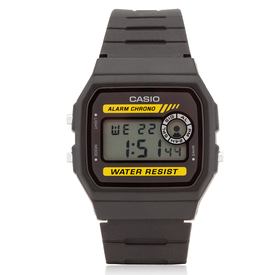 Featuring a sporty design, this watch is water resistant up to 30 m. Furthermore it comes with 1-year warranty.